Today I'm stepping away from my normal crafty posts to share a very special post. I'm very happy to be part of the Choosing Him Blog Tour. I'm joining nearly 100 other bloggers. To learn more and to join us click HERE. Juana Mikels seemingly had it all...a handsome husband, a new home, a high-paying dream job, plenty of "things" and yet she wasn't happy. She felt like something was missing. She decided that the fault lay in her husband. So in her desperate search for happiness and fulfillment, she left him. As she began her search for the perfect Mr. Right, much to her surprise, she discovered that true happiness was ONLY found in a personal relationship with Jesus Christ. Choosing Him All Over Again is an honest, transparent story of Juana's marital struggles and how the Lord not only put her marriage back together but how He saved both she and her husband. As Juana says, "It is my delight to share my history with you because my story is a story of God's grace." The book is good for those who are married and struggling, has helps for those who are married to unbelievers, and is an encouragement to those in solid marriages as well. My husband and I have been married for 30 years and have a solid, loving marriage. However, I was still challenged by several of the ideas and tips she shared in the book. All marriages can improve because they are made up of two imperfect people. If we are not growing closer together, we are drifting apart. One of the things that she said that really challenged me was when she talked about how we read in Proverbs that the man that finds a wife finds a good thing (Proverbs 18:22). She says that "wives are intended to be a gift. Gifts are things we like." She then says when she's tempted to nag her husband about something she tries to pause and ask herself, "will saying this again contribute to my acting like a gift to my husband?" Hmmmm.....do I always act like a gift to my husband. No, I don't. Now hopefully before I open my mouth, I can ask myself the same question Juana does. Juana shares various lists of helps such as Nine Areas to Focus on During Separation and Reconciliation (some of these very practical tips will help all marriages), Eleven Checkpoints for Refreshing Your Marriage, and Prayers You Can Prayer For Your Husband. 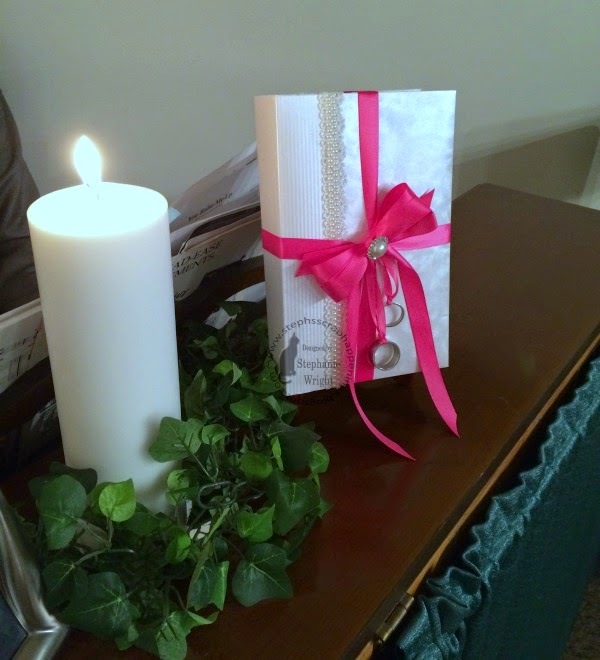 There is even a free downloadable companion Bible Study guide. While Juana and I disagree on various areas of separation, I found her book very helpful, practical, and definitely worth the time I spent reading it. Every marriage has its own story. Juana Mikels wrote her story of how God saved her marriage along with practical teaching on faith and marriage that she learned as a results of her own failure. Most of all, she points us all to Jesus Christ who has the power to change lives and marriages. You can your own copy of this helpful book HERE or on Kindle HERE. A couple months ago, a couple in our church asked me to help them with a special project for their wedding. The groom's mother had passed away and they wanted the ringbearer to carry her Bible instead of a pillow. The problem with this is that her Bible had seen a lot of wear and was going to be carried by a 2 year old. Their main requests were that I do something that would help the Bible look better, be more practical for a little guy to carry, and that the rings be tied onto it somehow. They decided not to have their actual wedding rings attached to the Bible so we used their purity rings instead. I didn't want to attach anything permanent to such a treasure. I went back to my childhood days and made a book cover like we used to do in grade school. Because the edges of the Bible curled down over the pages, I made the cover bigger to allow for them to be flattened out and reinforced the front and back covers with chipboard. His mom, like many of us, kept some special items between the pages of her Bible. 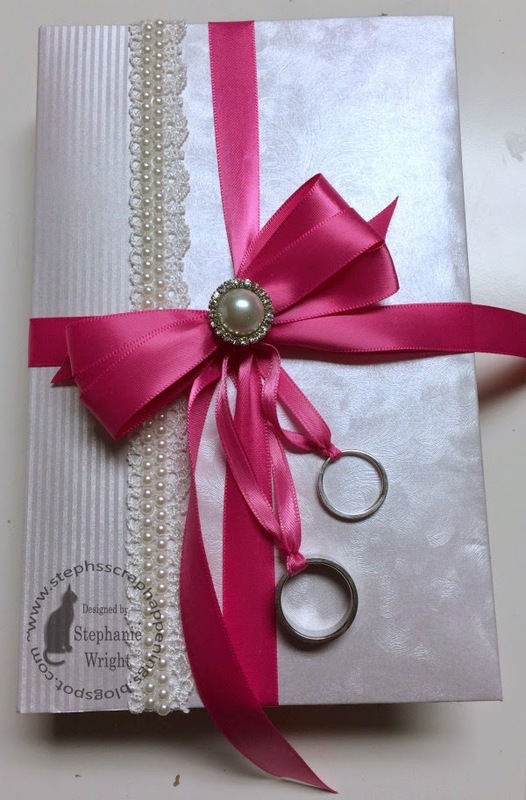 I didn't want them to get lost during the wedding so I made little vellum envelopes and slipped them in the flaps of the front and back covers. 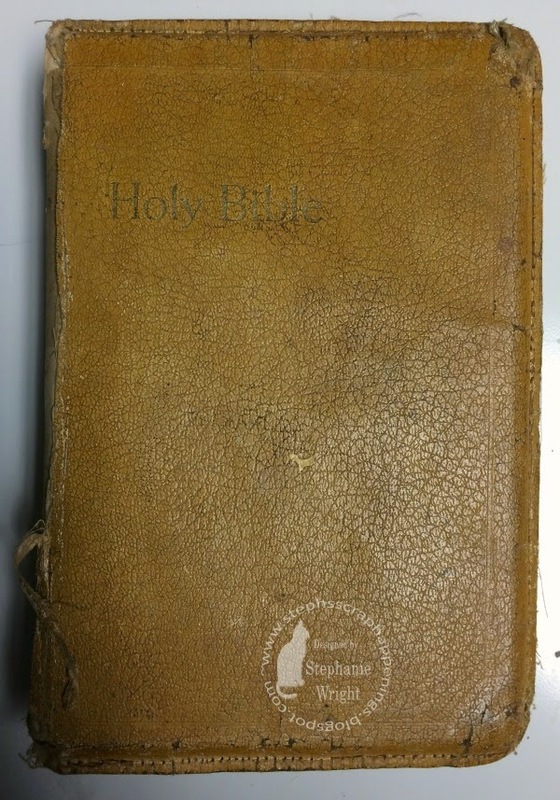 The ribbon was tied package-style around the Bible to help hold everything together and to give it more stability. I appreciate you taking time out of your day to visit. Thanks! I hope the rest of your week goes well. The weekend is in sight!! Yay!!! Here we are at the last Wednesday for January 2015. It's hard to believe that we're already this far into the new year. It's time for another challenge at Word Art Wednesday. This week we're focusing on Psalm 71:14, "But I will hope continually, and will yet praise thee more and more." As we go thru life, there are many things that will try to pull our thoughts away from the Lord. However, we must make it a matter of the will to trust in Him continually and praise Him more and more all the time. No one can make us sin, it's a choice we make. In the same way, no one can make us turn away from the Lord. It's a choice we make. Let's choose to trust and praise the Lord. I chose to use this week's Mojo Monday (MOJO382) sketch for my card design. It's tall and skinny week at Mojo Monday so my card this week is 4" x 8.5". An unusual size to be sure, but it will easily fit in a regular business size envelope. I also kept it fairly flat for easier mailing. With increasing postage costs, that's something I'm thinking about more and more as I made cards. One of our sponsor's this week is All Dressed Up Stamps. They generously provided some of the DT with some images and papers to use. I was able to play with Love Spring Time and Autumn Papers 1. I printed the image and digi papers on Georgia Pacific white cardstock. I cropped them close to the finished size before printing in order to save ink. What you can't see is that the horizontal strip covers a gap in the background floral paper. Another ink saver when using digi papers. It pays to take time to think about how you might want to use the papers before you print. I colored the girl with Copic markers and then decorated her dress and bow with Enamel Accents polka dots. The verse panel is also accented with Enamel Accents. 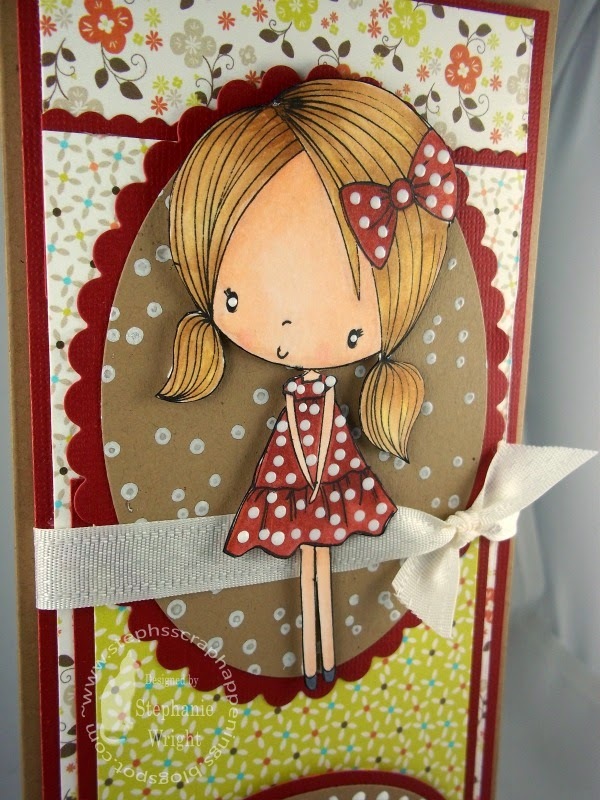 The background behind the girl was stamped with white pigment ink and embossed with clear embossing powder. I used foam tape to pop up a the background panel, the girl and the verse panel. I'm really liking foam tape over pop dots. Things just feel so much more solid. The above picture also gives a peek of the interior decorating. Thanks for stopping by today. I hope you are having a good week and will have time to spend in your craft space. 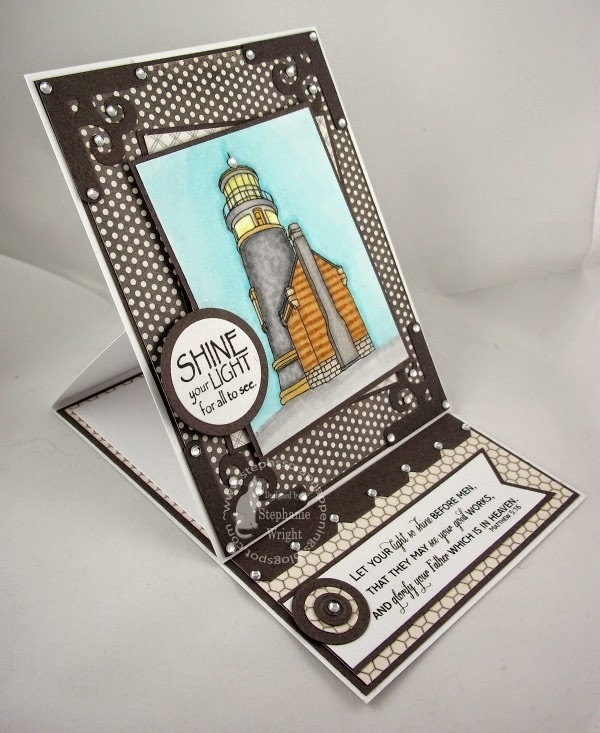 The Word Art Wednesday blog is sure to have some inspiration for you and there's a free digi for you there as well. Today I have a get well card to share with you. The recipient had a heart procedure done so I thought the band-aid over the heart was appropriate. 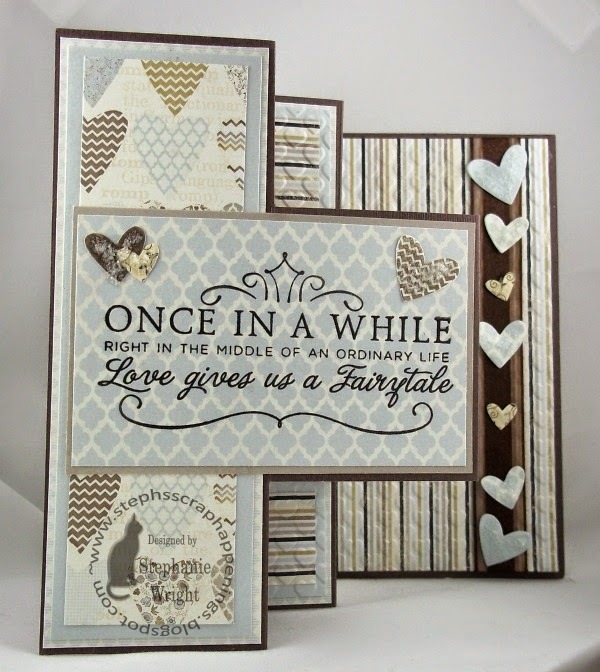 :) I've had the Lawn Fawn Get Well Soon stamp set and coordinating dies for a couple months and have been wanting a chance to play with them. This is the first time I was able to get them inky. I colored the images with Copics and then cut them out with the dies. They were also given a coat of Wink of Stella. I also used the Lawn Fawn Heart Lawn Cuts for the heart. It is cut out of white cardstock and also colored with Copics. 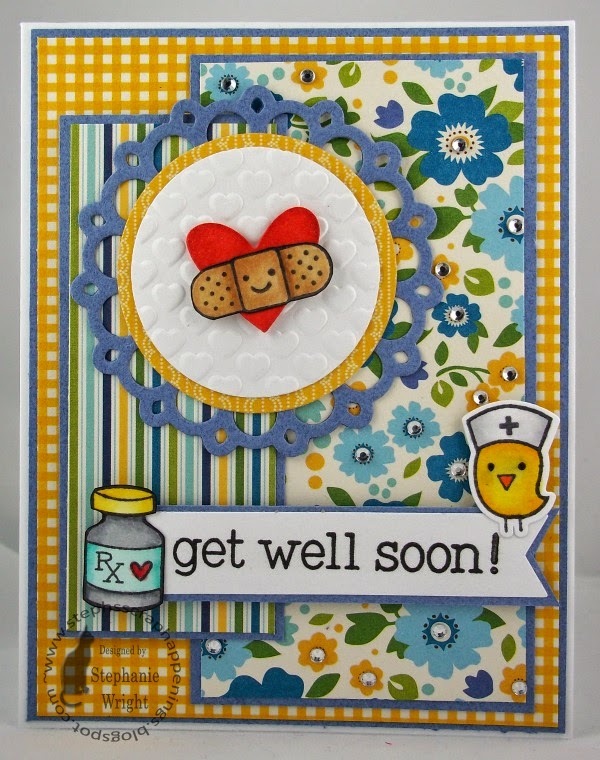 The heart and bandaid are popped up on a heart embossed panel that is matted with a couple Spellbinders die cuts. I used my recent "go-to" sketch from Dawn. A few rhinestones finish it off. 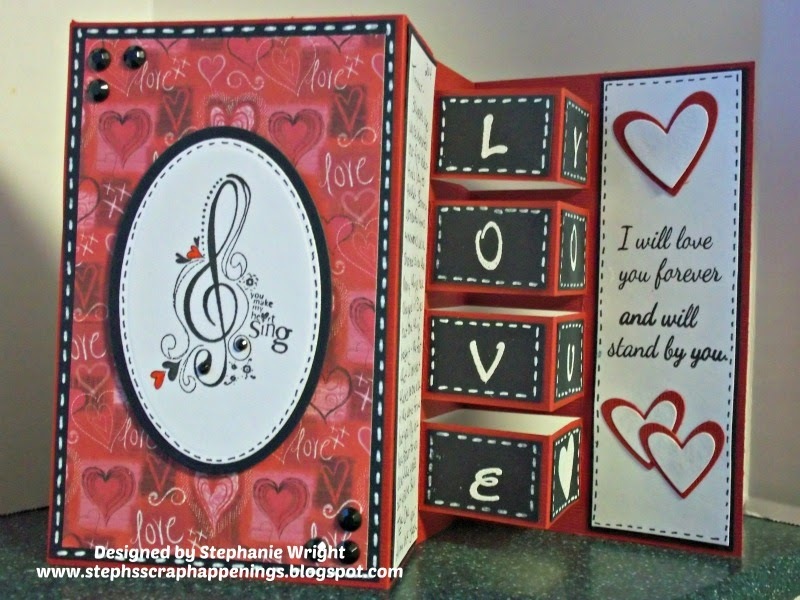 The sentiment is from the same stamp set and is stamped on a banner die cut and popped up with foam tape. The card stays pretty flat so it was easy to mail. Tip: Have a go-to sketch so that when you need a card in a hurry you don't have to put a lot of thought into the card design. 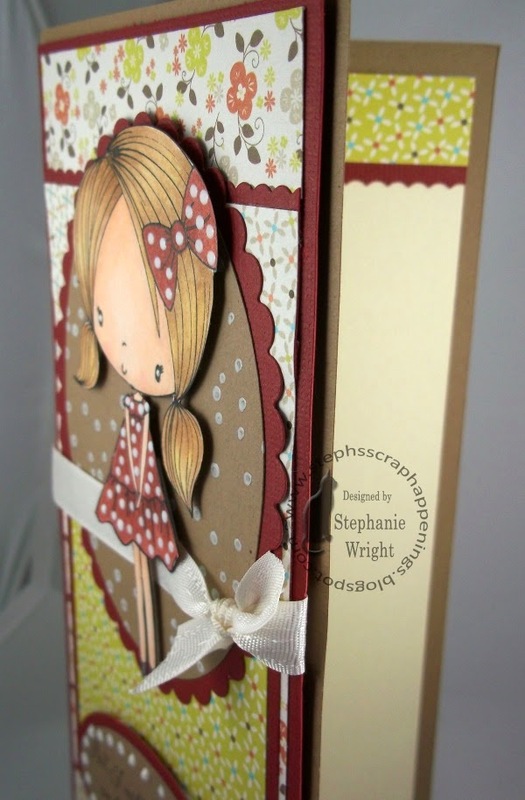 Changing up the papers, stamps and embellishments will be enough to keep them from all looking the same. 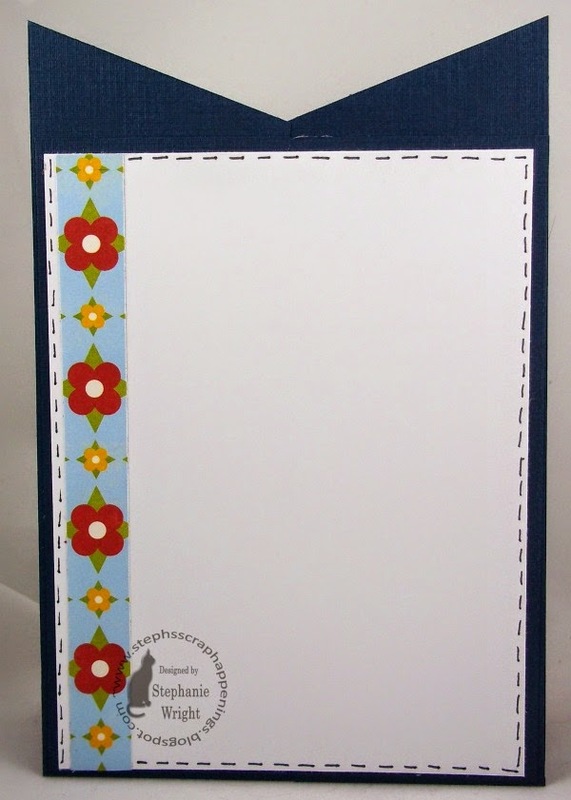 Keep a note in your craft area of the sizes you need to cut your various layers and making a card will be quick and easy. This is also a great way to use up scraps. It's time for a new challenge at Word Art Wednesday. This week our focus verse is 3 John 2, "Beloved, I wish above all things that thou mayest prosper and be in health, even as thy soul prospereth." When we have those we love that struggle with their health, we so often pray for the Lord to heal them. And, that is as it should be....as long as we're praying for the Lord's will to be done. This verse gives a great perspective on health and prosperity. Those two things come in line AFTER the condition of our soul. Our relationship is what is most important. It's much more important than how much money we have in the bank, how "easy" our life is or how healthy we are. I don't mean to sound uncaring. This hits home with me - we have children with chronic illnesses. My heart aches to know they deal with pain and illness on an everyday basis. But, even more than I want the Lord to heal them, I want them to have a close relationship with Him. Yes, even if that means that on this earth they will remain chronically ill. You see, this life is temporary. In Heaven, they will be perfectly and forever healed. So yes, wish for good health and prosperity for your loved ones but in direct proportion to their relationship with the Lord. My card this week uses the current Mojo Monday sketch for its design. 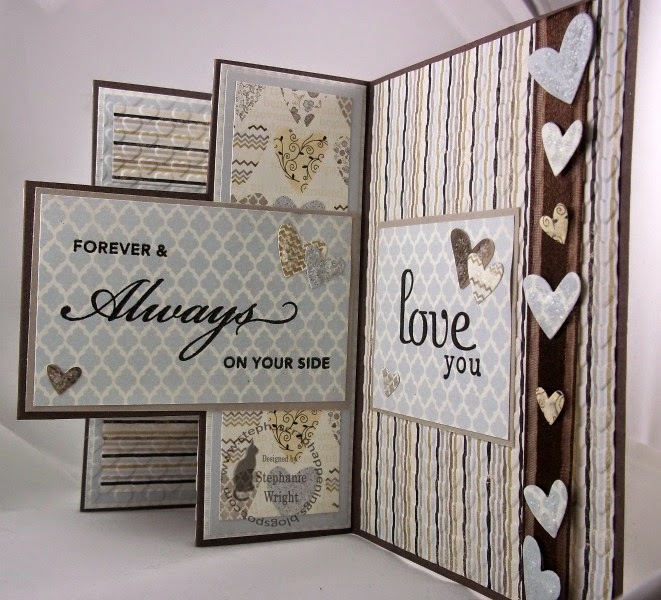 The background panel was embossed with a woodgrain embossing folder and then lightly inked. 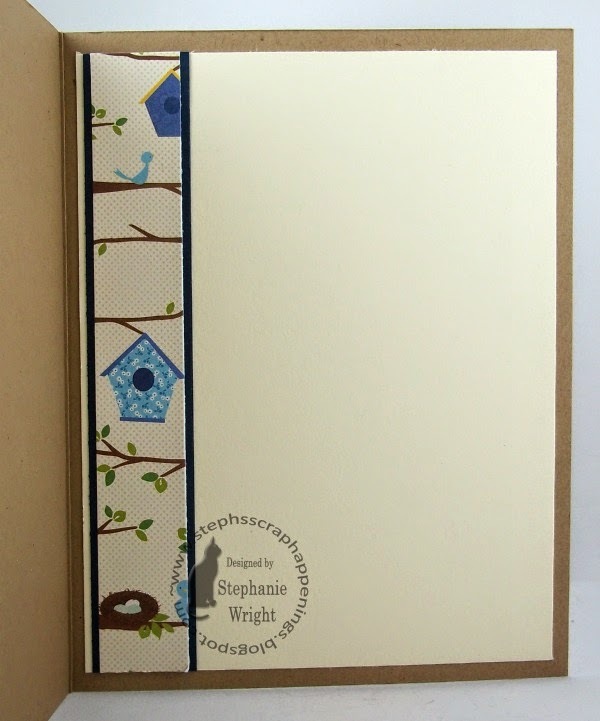 I really liked the birdhouse paper and did not want to totally cover it up. So, I pulled out that vellum paper I've been hoarding, printed the Scripture on it and framed it with a Lacey Circle diecut. A ribbon, button, and twine bow finish it off. The interior decorating was kept simple as well. Just a strip of the birdhouse paper matted with the navy cardstock. Thanks so much for taking time to visit with me today. I hope your week is going well. Please be sure to stop by the Word Art Wednesday blog and see what the rest of the Desgin Team have made. You may also pick up your free digi while you are there. In November, I "discovered" a new (to me) challenge blog, The Path of Positivity. In a world of negativity, this challenge blog seeks to actively look for and promote positive things. Each month there is a theme and participants are encouraged to make a project or write a post inspired by that theme. This month the theme is Unique. According to the dictionary, unique can mean something that is one of a kind (an antique manuscript), something found only in a certain place (an animal species found only in one country), or something that is different or unusual. In our world, we sometimes do not look kindly on those that are "different." Sometimes, your values are different. In that case, just remember the saying, "What's right is not always popular, and what's popular is not always right." If your difference is a visible medical problem, our society may have more concern for you. However, if you are one of the many who suffer with an invisible illness, all too often, part of the suffering is from the insensitivity of others. Just about every person with an invisible chronic illness has heard more times than they can count, "but you don't look sick." Ugh! Chronic illness is not a bid for attention or because the person is "dramatic." If you have someone in your life with a chronic illness, no doubt, you want to do something to lighten their load. The #1 way you can be a help to them is to BELIEVE them. A young woman I know was diagnosed a few months ago with a chronic illness that requires a complete change of diet. Our daughter has some of the same dietary restrictions so they have been able to exchange ideas. As this young lady is learning to navigate these new waters, she's also having to deal with the insensitivity of others. I'm so proud of her because instead of becoming bitter towards those who have hurt her, she is instead going out of her way to do something extra nice for them. I made this card to not only let her know that I love her just the way she is, but that I'm so proud of her for her unique response. I chose an unusual (for me) card design and made a shaker card. This was also the first time I added sequins to the front of my card. 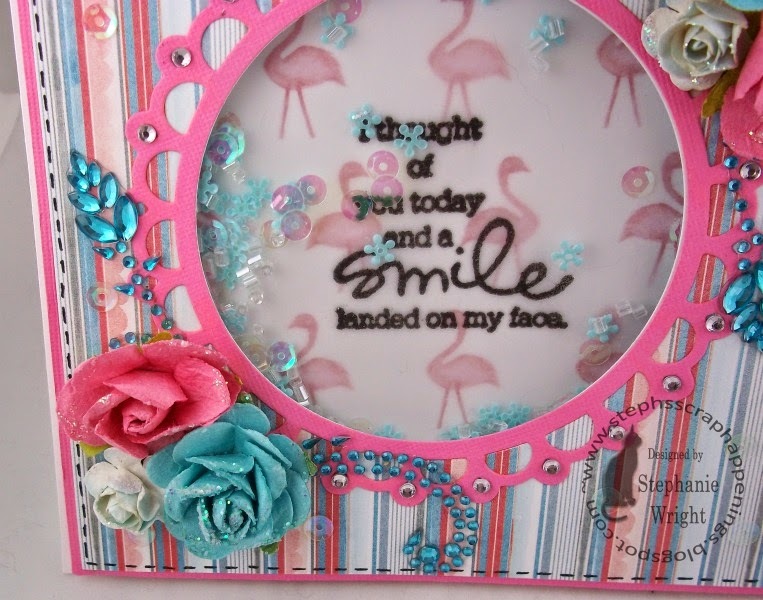 The sentiment was heat embossed on vellum and then backed with flamingo patterned paper. Inside are iridescent sequins, floral sequins and clear bangle beads. Plenty of glitter, bling and flowers complete the front. I really like how the card turned out. Very girly and sparkly....perfect for this extra special young lady. Tip: When making a shaker card, using your anti-static bag or tool on the acetate before adding the sequins will help your sequins and beads move around more freely. The inside uses a die I recently purchased. 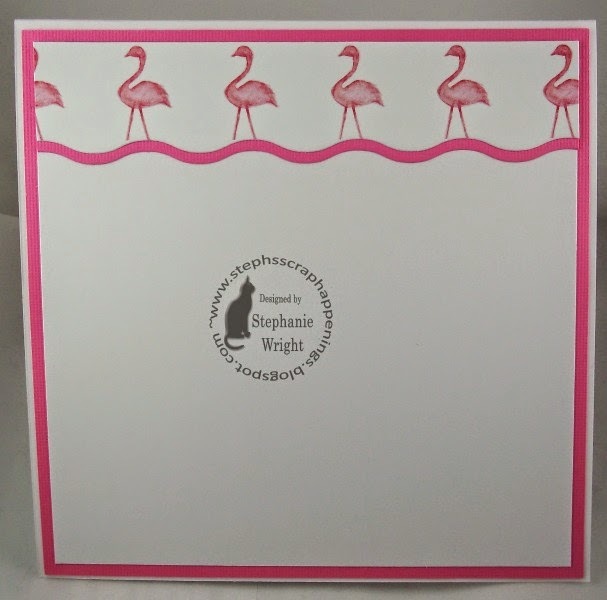 The wavy edge made a perfect border for the flamingos. I truly do appreciate you taking the time to stop by today. I hope you'll come back again soon. I was reminded of this recently as I sat in a dim room waiting for my turn to see the doctor. There was one light in the room and the angle of its under-diffused beam was so direct I felt it right away. As I lay there shielding my eyes, my mind began to think of how light is such a good thing and yet it can cause such pain. Those who don’t suffer from migraines, or other health issues triggered by a light sensitivity, may not realize the effects of flashing lights, flickering fires, candles or computer screens or why we look away when a child runs by with those cute light-up shoes that flash as they move. As I continued my contemplations, I began to think about Jesus’ command to us to be the light of the world (Matthew 5:14). The best lights have steady, constant beams. They provide warmth and because they make things easier to see, they provide security. If we are to be a light for the Lord, our witness before others should be constant as well. How much pain has been caused and how much damage has been done to the cause of Christ by Christians who live an on-again/off-again lifestyle? Such a Christian can not be trusted nor do they inspire confidence that God’s way is the best way. If we are going to say we are a Christian, we need to be a steady light so that we don’t hurt others by our inconsistency. Ephesians 4:15 tells us that we are to “speak the truth in love.” When we see something in someone’s life that doesn’t line up with God’s Word, we need to remember to not be arrogant, brash, or holier-than-thou. Our words need to be diffused with love or else we are going to cause unnecessary pain. Just as the under-diffused light in the that waiting room at the doctor’s office makes me want to avoid using that room in the future, so will speaking the truth without love cause others to avoid us. It also may turn them off to anyone else who tries to share the truth of God’s Word. No matter the topic of conversation, speaking the truth with a filter of love will help the conversation go better. It takes a lot of work to be a consistent witness. Why are we to go to all this effort? Our focus verse this week answers this question for us. Matthew 5:16, “Let your light so shine before men, that they may see your good works, and glorify your Father which is in heaven.” As with everything we do, we are to be a consistent steady light to the world so that we will bring glory to the Lord. Let’s do a self-check up and make sure that we are not causing pain to others by the way we live our lives so that we will bring glory and not dishonor to our Lord and Savior, Jesus Christ. One of our sponsors this week is Robyn's Fetish. Robyn generously provided some of the DT with images to use this week. I was able to play with the Lighthouse image. I thought it was so appropriate for our focus on being a light to the world. 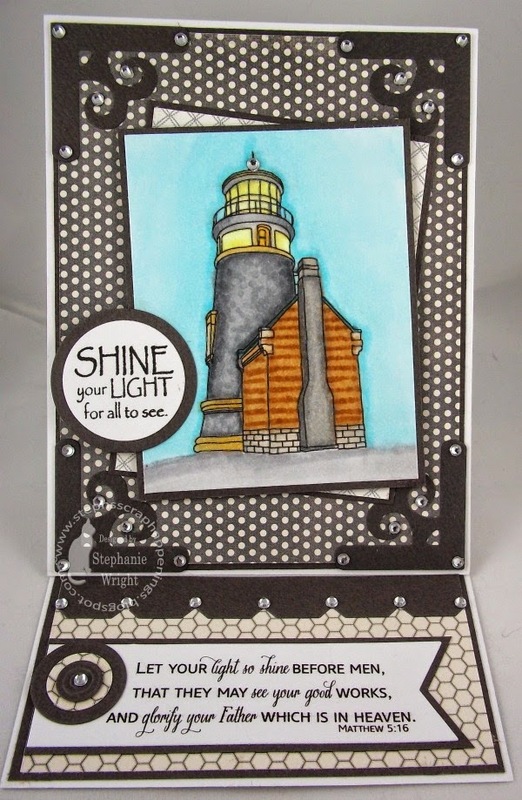 After coloring the lighthouse with Copics, I accented the yellow lights with a clear Wink of Stella glitter brush marker. 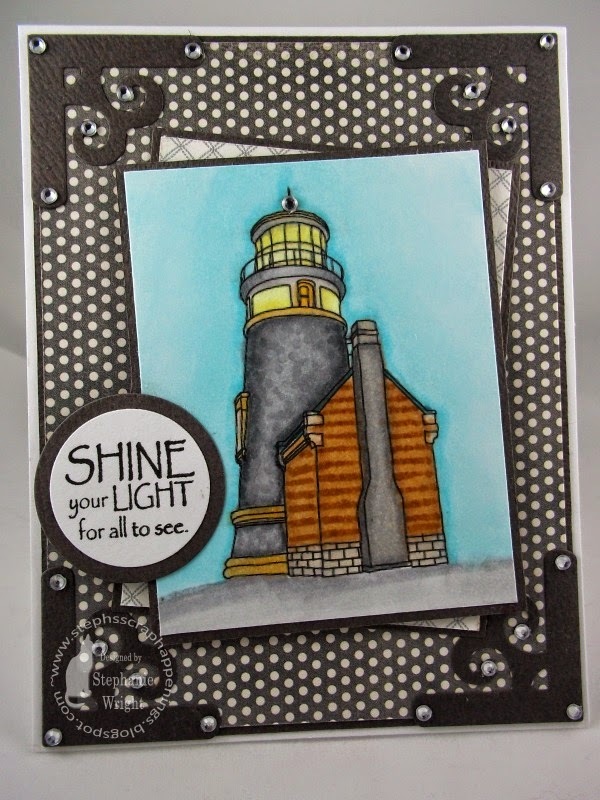 To help keep the focus on the "light" emphasis, the rest of the card is gray, white and cream. I used one of my favorite fancy folds and made an easel card this week. It's a great way to add some emphasis to your sentiment (or in this case Scripture) when you are using a larger image. I stacked several button die cuts on the banner die cut and topped them with a rhinestone. 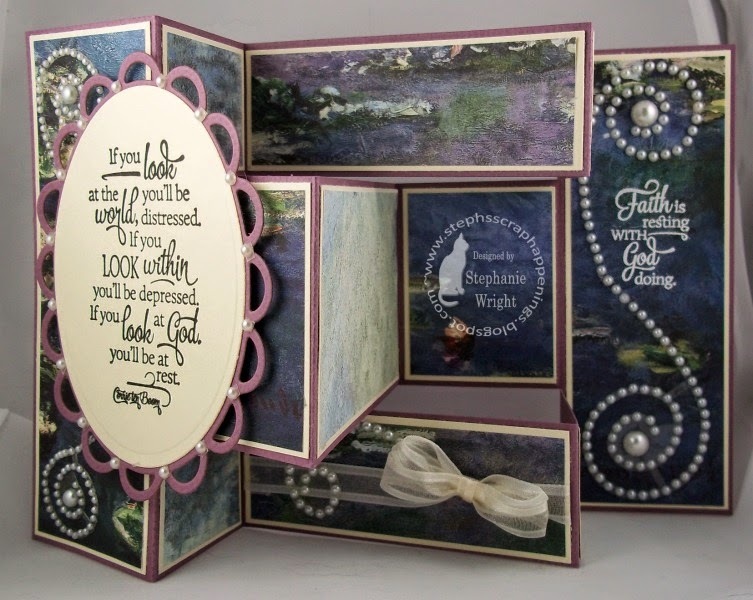 The design of the front panel was my take on this week's Sweet Sunday Sketch Challenge #251. 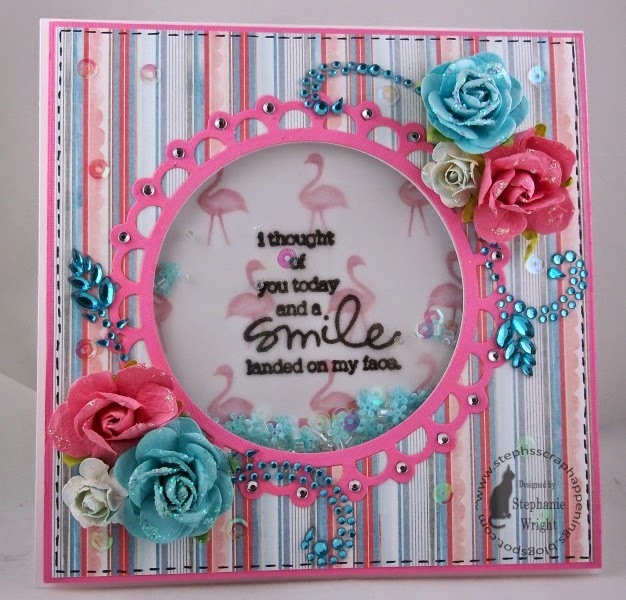 For the circle element in the sketch, I used one of the sentiments from the Shining Lights clear stamp set from Sweet 'n Sassy Stamps. If you've read all the way to the end of this extra long post, thanks so much for hanging in there with me. I hope you will have time this week to visit the Word Art Wednesday blog to see the projects by the rest of the DT and to pick up your free digi. My husband and I recently celebrated our 30th wedding anniversary. This is the anniversary card I made for him. As I've mentioned before, he appreciates special card folds and techniques. 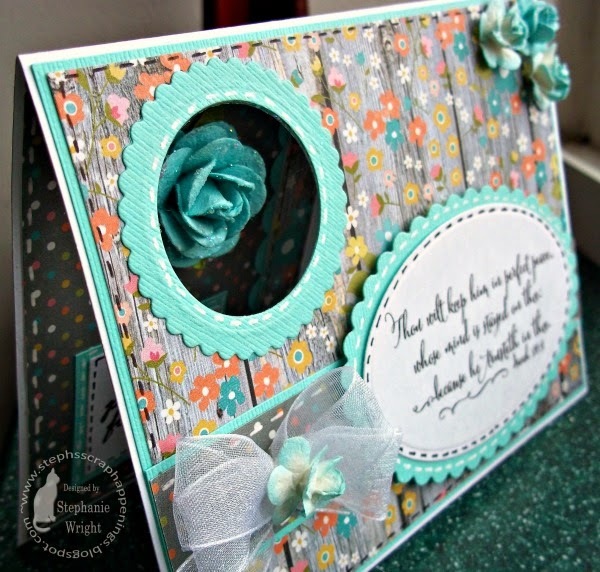 Last month I discovered this Adapted Tri-Shutter card on Sandy Allnock's blog. I thought this would be perfect for his card. And how appropriate that her blog post went live on what would have been my parents' 69th wedding anniversary! :) Without getting too mushy on you, let's just say that I have a wonderful husband and the quote on the front is very true. As with all marriages, we've had good times and bad, but we're a team and we get thru the rough times together. It's a great understatement to say that I'm very thankful for him. Sandy designed her adapted tri-shutter to have plenty of room to write a message (the space where my card has the "love you" sentiment). However, since I wanted my husband to be able to display the card without having all the mushy writing visible, I put an extra stamped sentiment in that space. I added a writing panel on the back of the card to write a note to him. All my sentiments were stamped with VersaFine Onyx Black ink and embossed with clear embossing powder. I die cut the various hearts from scraps of the patterned paper. 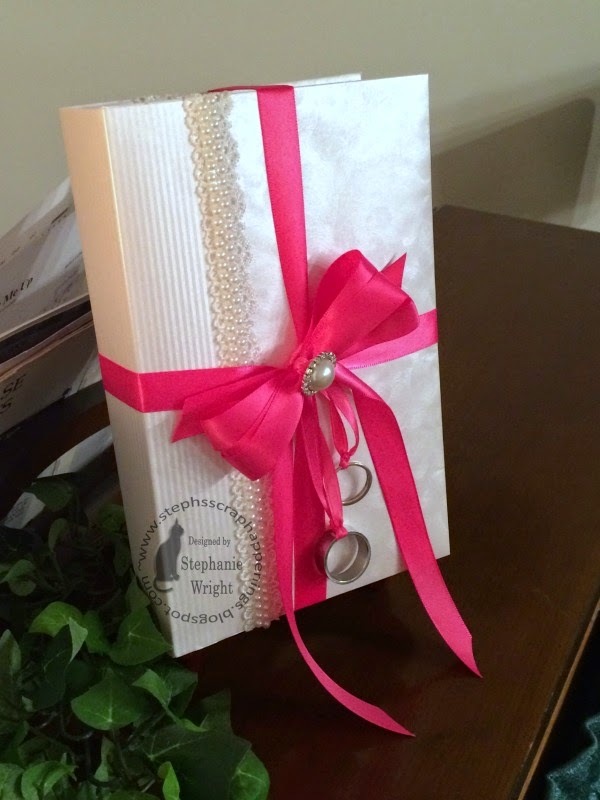 The striped paper is dry embossed with a heart embossing folder. Rock Candy Distress Stickles adds dimension to some of the hearts. Thanks for stopping by today. I hope your week is off to a good start. Happy New Year!! I hope you are all having a good start to 2015. 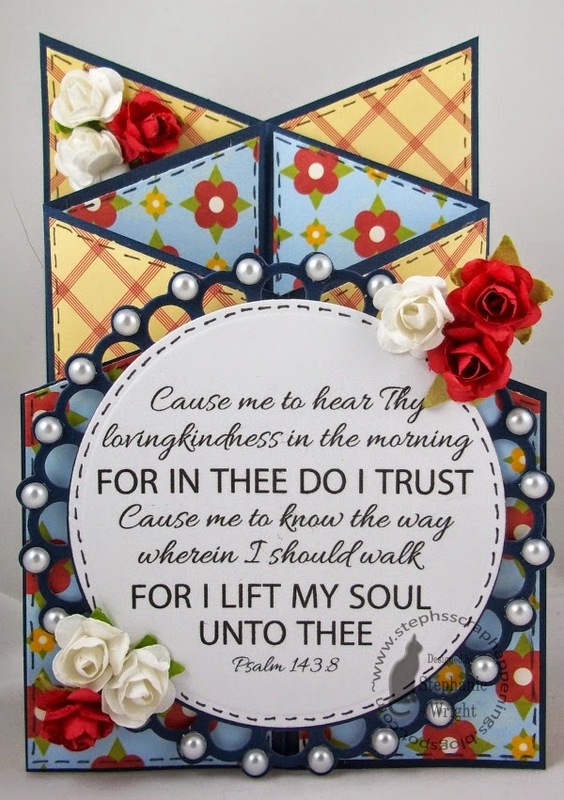 This week's Word Art Wednesday Challenge focus verse, Psalm 143:8, "Cause me to hear thy lovingkindness in the morning; for in thee do I trust: cause me to know the way wherein I should walk; for I lift up my soul unto thee," has some clues on how to get our year off to a great start. In the first phrase, the Psalmist requests that he hear the Lord's voice in the morning. That means he's starting his day by spending time with the Lord. He understands that this is a key to getting his day started off right. The second phrase lets us know that he has put his trust in the right thing, the Lord. In the third phrase, he's requesting the Lord's guidance on where he should go and what he should do. And in the last phrase, he's putting his life (and soul) in the Lord's control. This is a man that has his priorities in line. What a great example for us to follow as we start a new year. In our world today, this mindset of starting the day with the Lord, trusting Him in all things, allowing Him to guide us and putting our life in His hands, is a very unique and unusual concept. So many people are all about control and "being in charge." But when I remember that I'm human and makes many mistakes and that God knows all things and NEVER makes a mistake, it just seems like a no-brainer to let Him be in charge. Now, this isn't to say that sometimes I don't mess us and try to "help" Him. But, He is patient with me and I soon realize that truly His way is the best way. For my card this week, I chose a new to me and rather unique card design. 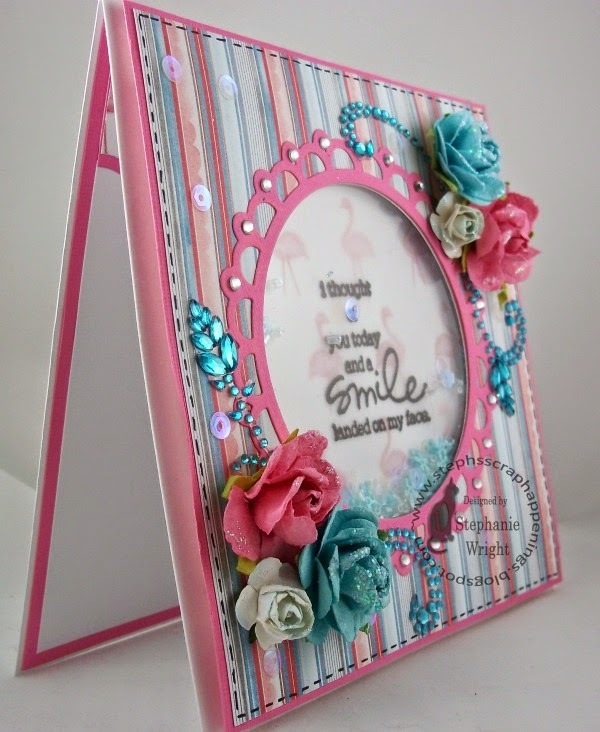 It's called a cascade card and I followed Dawn's tutorial found in this video. Not only is this a new card fold for me, but I'm also using some new papers my hubby bought me on our 30th anniversary trip and a new Spellbinders die and some flowers that I received for Christmas. 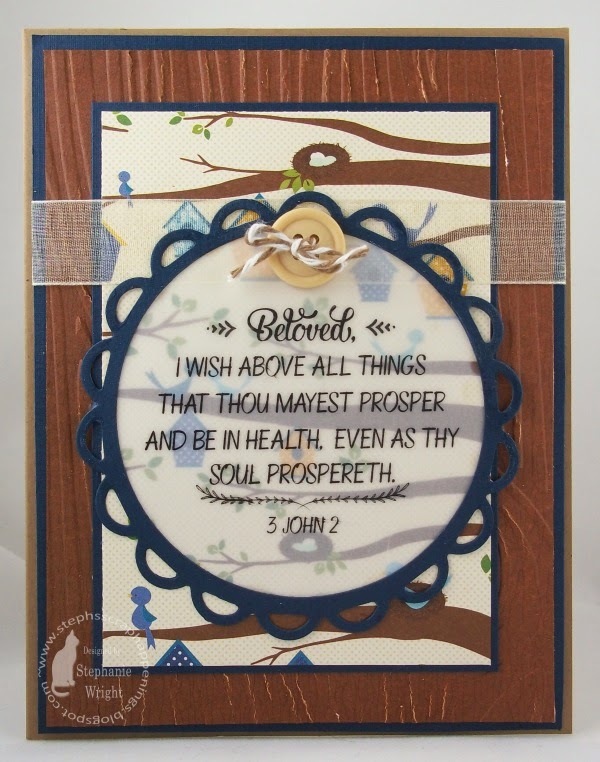 With all that was going on with the card fold, I wanted to make sure the Scripture remained a major focus. 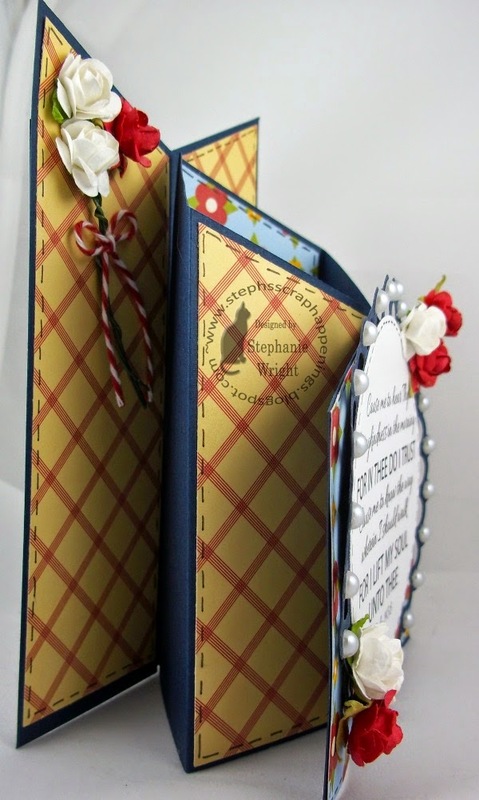 It is die cut and layered on a Picot Edge circle and then accented with pearls, faux stitching, and paper roses. Adhering the sentiment panel across the entire front provides some stability to the front of the card. Another bunch of paper roses embellishes the upper left corner. This small bouquet is tied with a baker's twine bow. To add stability to the back and to have a place for writing a personal note, I adhered two cardstock panels across the back. Some more faux stitching and a patterned paper strip complete the back. Thanks for stopping by today. I hope you'll be able to come back often. As always, please remember to stop by the Word Art Wednesday Blog for your free digi and to see the projects from the rest of the Design Team. Happy New Year!! I hope you have enjoyed Christmas. It's hard to believe 2014 is history and 2015 is here. As a way of saying goodbye to 2014, I thought I'd post some of my favorite projects from the past year. Clicking the card titles will take you to the original blog post for full card details. 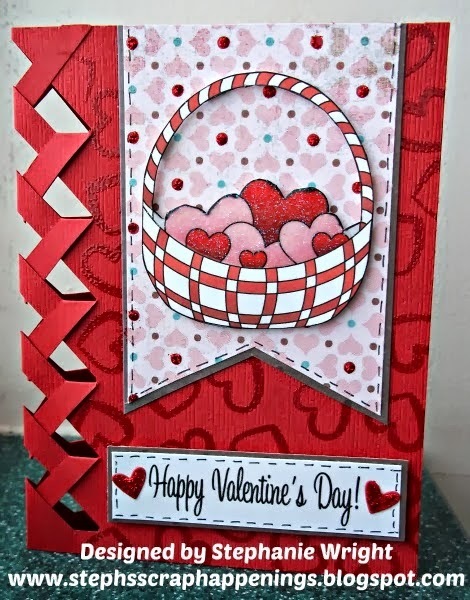 Building Block Valentine - My hubby is so supportive of this addiction hobby and patiently answers my "what does this card need? ", "do these colors clash? ", etc. I try to use special folds or techniques when making cards for him. This was his Valentine and my fist attempt at this fancy fold. 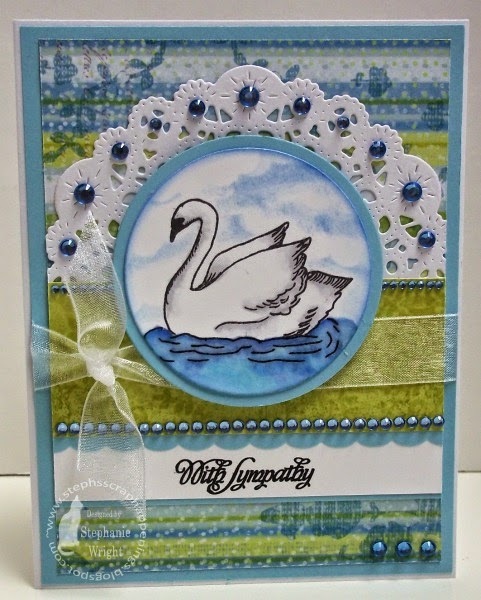 Perfect Peace - This card was made in collaboration with my hubby. He's the one that came up with the idea to make the flower peek thru to the front. I really like the papers and colors on this one. With Sympathy - On this card, I really like the way the image panel turned out. The coloring and inked sky actually came together the way I wanted them to on this one. 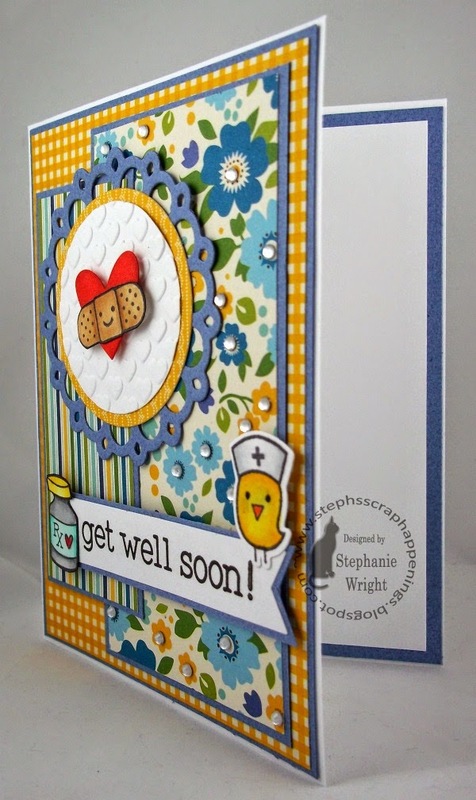 I also like the colors - restful (which is good for a sympathy card) without being too morbid. 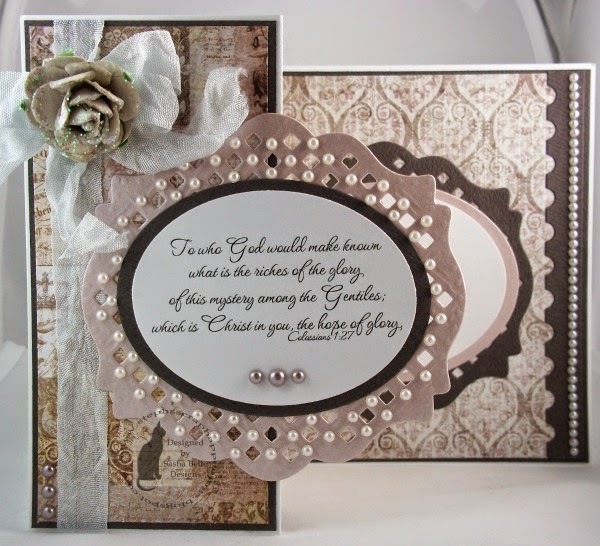 Prima Shabby Chic - I think the papers, diecuts, seam binding and flower came together well on this one. Quote Collection 4 from ODBD - This tri-shutter card showcases some gorgeous paper I found. 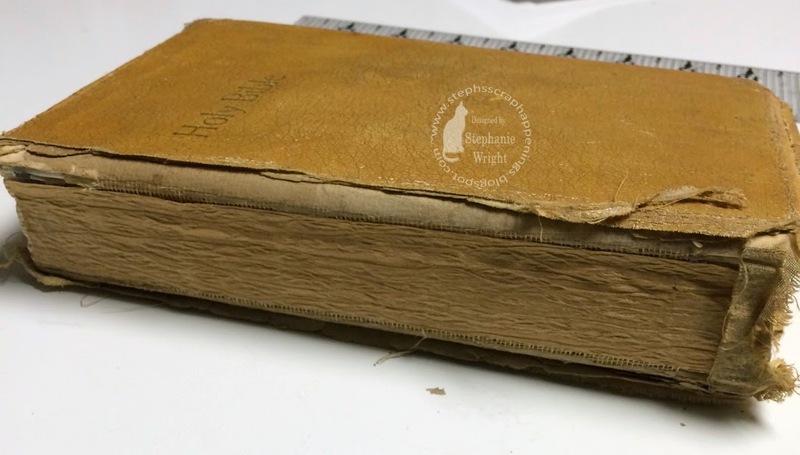 I loved it so much I did another project, a notebook, with it in the same post. The notebook style was my best seller this fall/Christmas season. The card and notebook use a fantastic set from ODBD. I've used this set over and over again. Happy Valentine's Day - This card had another cool fold. 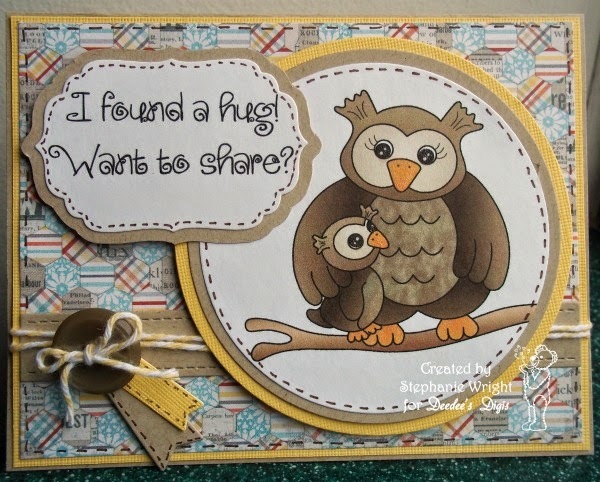 I Found a Hug - I love this one because of the sentiment - I think the papers are pretty too. Deedee's Digis has such cute images and sentiments. 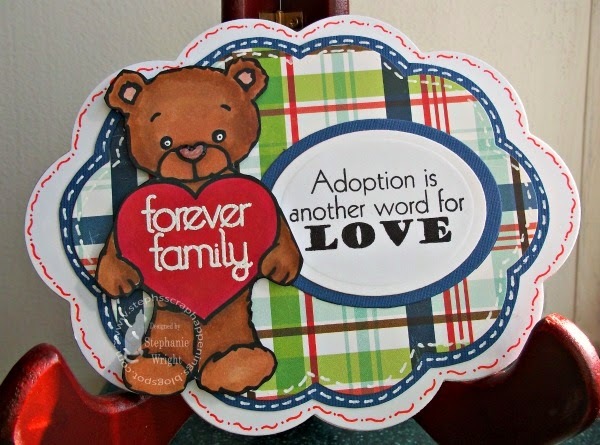 Adoption is Another Word for Love - I really like this shaped card and the heat embossing on the heart. Rhubarb (the teddy bear) is also a favorite with me. I also think the purpose of the card is fantastic!! Great Outdoors - While I used a pre-colored image for this one, I did sponge the clouds in the sky. 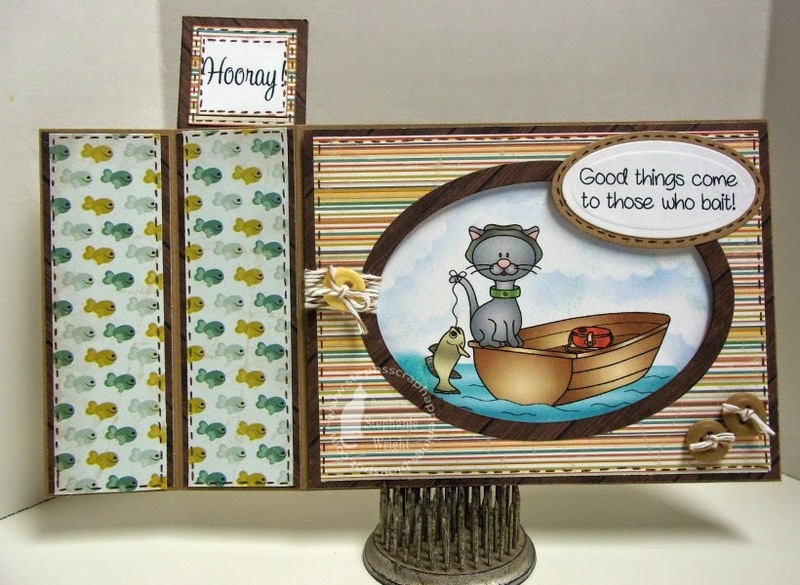 I really like this adorable cat and the fishing theme is a hit at our house. It's also my first attempt at a "wiper card." But Without Faith - I colored this image with Copics and used some of the techniques I learned in the Online Card Class Copic for Card Makers Class I took this fall. I'm still working on my coloring skills. I really like the colors and papers on this card. Thanks for stopping by and hanging in there thru this long post. I hope 2015 is full of many blessings for you and your family.